Inflatable batting cages, in theory at least, are the single best way to add a hitting cage to your back yard, gym or travel team’s equipment bag. 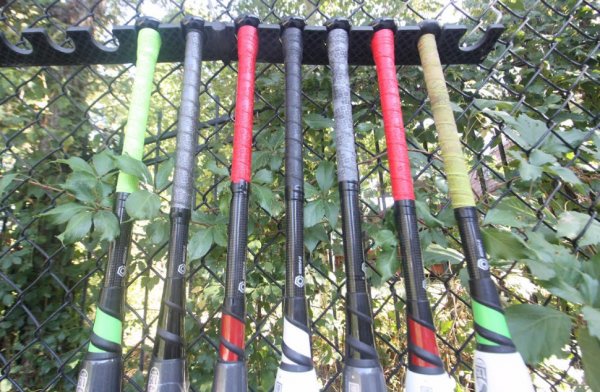 They are quick to set up, quick to take down and give you a portable hitting experience that no soft toss net, swing-a-way or chain link fence could ever do. If taken care of properly, they can also outlast your outdoor cage. But, in practice, most portable cages are often hard to maintain, require constant air flow, are overly affected by wind and create ricochet that is flat out dangerous. We’ve gone in search of the best inflatable batting cage that addresses these concerns and come back with some encouraging answers. Only two companies make batting cages that are recommendable by way of the concerns we mention above: Rude American and InMotion. We think, in the end, the Rude American cage is a clear winner due to its price point, added security features and focus on stability. Both Rude American and InMotion use a sealed air approach. This means you only need to fill up the cage one time and do NOT need a constant air pump like a bouncy house. Any other competitor (especially many overseas models) requires a no stop flow of air through a constantly running pump. No matter what you end up choosing, we highly recommend you do NOT choose one that requires constantly running air. The reason people LOVE inflatable batting cages is their portability. They can come inside for the winter to be set up in a gym, go outside in the back yard to hit for a few hours (or longer), be taken down in a minute or two for an impending storm and then be packed in the back of the mini-van or truck to be taken on a travel team’s road trip. It really is the best way to go if you are adding a cage as part of your life. Both Rude American and InMotion take about 20 minutes to set up a 40 foot cage. Both take only a few minutes to take down and pack up. Both fold down to the same size (which is, roughly, a 4 x 2 feet square case). As well, both are about the same weight and require the same amount of trunk space to transport. One differentiating feature that we found favoring Rude American’s inflatable batting cage is the pillars that lift the bottom rung of the cage from the ground. InMotion’s inflatable batting cage has the bottom rung run on the ground. (See Pictures Below). An elevated bottom run makes the cage less susceptible to wind (because air can now flow both above and below the bottom run). A bottom rung off the ground is safer as it creates a greater distance from structure to the net which, in turn, gives less chance for ricochet. Another feature where Rude American inflatable cage excels is the Velcro netting that attaches the two pieces of the cage together. This allows for less ricochet and a more solid feel. The InMotion version doesn’t have any particular way to connect to the two except for placing them by each other. Legitimate and well working inflatable batting cages that can be used with strong players are not cheap. Especially ones that come with lifetime warranties on seams. Rude American’s price on baseball express is $7,000. InMotion’s price for their 40 foot cage starts at $12,500 (which you can only find by calling them). InMotion does have a 36 foot cage (with 2 eighteen foot sections) but that is still over $9,000. No matter how you price it out the Rude American cage will save you several thousand dollars. InMotion does send an employee on site to help you set up the cage for the very first time–which I am sure adds a cost to their process. We are not sure, at least for most, how that might be needed as set up and take down aren’t particularly difficult. Regardless, if you think onsite help is needed then be prepared to spend upwards of $5,000 more. The other thing InMotion probably does better is customization in terms of logos and colors. This, of course, comes at an additional price. (Anywhere between $500 and $2000). Rude American does offer these services but, from what I could gather, would rather not do so as it adds significant time and cost to the process. We have a hard time seeing why custom logos would be that important especially at significant costs. If you need logos, buy some quality screen printed stickers and do it yourself. But, like onsite set up, if you are in the market for a customized or branded inflatable batting cage then InMotion may be your ticket. Both InMotion and Rude American inflatable cages are recommendable in terms of their air sealing, portability and warranty. If you are looking for custom logos or other options (like a shorter cage) then InMotion is your only recommendable option. Pricing for the InMotion must be found by calling their main number. Rude American inflatable batting cages are our recommended option in terms of added safety, stability and overall value. Price check on that inflatable can be found here. Last I checked they were giving away a free Rude American Bat with their cage if you were willing to call in to their office (number can be found on their site). Previous: Previous post: Zepp Baseball Review — Real Time Analyzer: So What?